Welcome to The Heart of Rescue. Our mission is to rescue pets and give them a new life. Please join us in our on-going endeavor. You can’t buy love, but you can rescue it! Bentley is a sweet lovable guy that loves other dogs. He is eager to go for car rides and spend time on the couch. 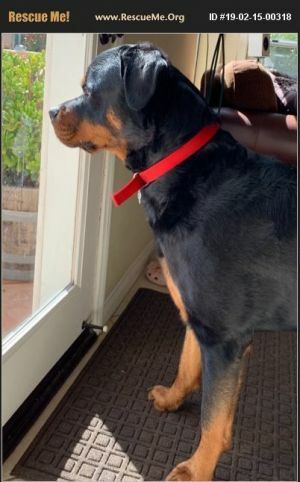 He is working with a trainer for some resource guarding issues and we would ask that potential adopters be willing to continue that process. We will not be placing him in a home with children due to his guarding issue. Bentley is neutered, up to date on his vaccines and microchipped. Please contact us if you are interested in adopting, or even fostering, one of our dogs. We are a federal non-profit rescue. We do require a completed application and a home visit prior to adopting. Please go to our website at www.theheartofrescue.org to complete an application or call 541-782-THOR (8467). 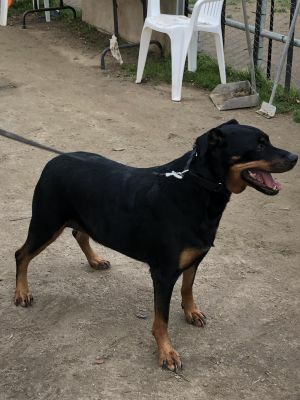 Barli 4 years old, approx 105 lbs with full tail, very sweet and friendly, loves to go on car rides, hiking, playing in water. He gets along with most dogs with proper introduction. I wouldn't recommend small dogs or kids since Barli likes to play rough at times. 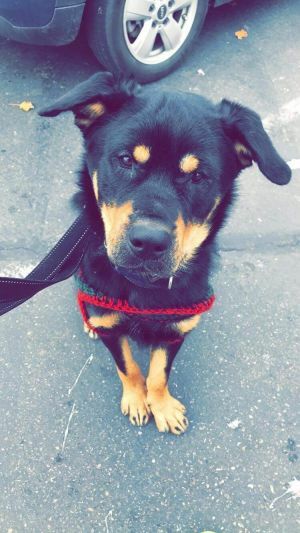 He would benefit from additional training, he does know a few commands, he's crate trained and housebroken. He listens well and is easy to train. Barli is neutered, up to date on his shots and microchipped. He is located in southern California. Please contact us if you are interested in adopting, or even fostering, one of our dogs. We are a federal non-profit rescue. We do require a completed application and a home visit prior to adopting. Please go to our website at www.theheartofrescue.org to complete an application or call 541-782-THOR (8467). Nena is a super sweet loving young lady. She is approximately 3 years old. Happiest sitting next to you on the couch soaking up pets and giving kisses. Nena is spayed, up to date on vaccines and microchipped. If interested in meeting Nena please submit an application at the website to follow. Please contact us if you are interested in adopting, or even fostering, one of our dogs. We are a federal non-profit rescue. We do require a completed application and a home visit prior to adopting. Please go to our website at www.theheartofrescue.org to submit an application or call 541-782-THOR (8467) for more information. 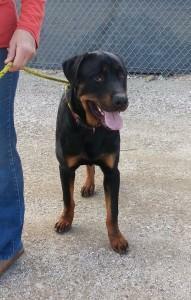 Myrna is a 3.5 to 4 yo purebred German style Rottie, 95-100 pounds. She was from the Ventura County Animal Shelter 2 years ago. She was found alongside a highway with a large male Pitt Bull. She is spayed, up to date on shots, microchipped and no history of health problems. 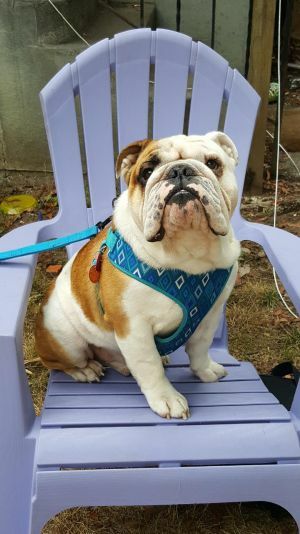 Myrna walks nicely on a leash, knows her basic commands and also shakes. She's a big love bug, rolls over for tummy rubs whenever she can. She is sweet, affectionate, smart, obedient and submissive to people and other dogs. She plays fetch and releases a toy easily. She doesn't guard food or toys, prior owner could remove her bowl in the middle of a meal, no growling. Until recently, the household mini poodle stole her first couple of kibbles at every meal, she didn't mind. She is easy at the vet, no need for a muzzle, no growling. She does have a physical style of play. At the dog park because she likes to chase other dogs and tackle them just for fun. She wasn't being aggressive at all, even the trainer at the park recognized she just meant to play. She really doesn't play more rough than some other dogs, but she's so much bigger that, well, she just ends up being more rough. She doesn't understand she's too big to play like that. Also, don't try to correct her with a spray bottle. She thinks water spray is the best toy ever. She jumps at the stream of water and chomps at it. Doesn't try to chomp the bottle or the person, but ... it's a lot of big shiny excited playful airborne teeth heading your way. At home with her pack (a smaller Rottie, mini poodle and schnorkie, all neutered boys) she is not as excited as at the dog park. She and the Rottie boy play well together, chasing each other, mouthing gently. No tackling. Usually the male mouths her face, and she lays down, rolls over and paws him in response. In the past month, she has become increasingly aggressive toward the small dogs. Unsure of reason and now have had to keep her separated from them at all times, she has become so dangerous. Given a chance, she will lunge for them. Two months ago she was fabulous. She participated in a fundraiser walk for a local rescue, she won the costume contest. There were lots of small dogs present, no problem. She can not live with small animals anymore. She would be fine as an only dog, or with a big boy. I don't have kids, can't say how she' d be living with them. She is excitable, so maybe noisy young kids wouldn't be good for her. Please contact us if you are interested in adopting, or even fostering, one of our dogs. We are a federal non-profit rescue. We do require a completed application and a home visit prior to adopting. Please go to our website at www.theheartofrescue.org to complete an application or call 541-782-THOR (8467). 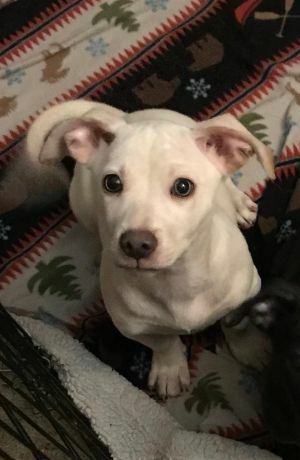 Elliott is a typical little puppy. He favorite past times are eating lots (cause he is growing), playing hard, sleeping often and you know the rest.... Elliot neutered, up to date on vaccines and microchipped. Please contact us if you are interested in adopting, or even fostering, one of our dogs. We are a federal non-profit rescue. We do require a completed application and a home visit prior to adopting. Please go to our website at www.theheartofrescue.org to complete an application or call 541-782-THOR (8467). Buffy is a little cutie pie. She has grey/blue eyes that will steal your heart. She is super playful and affectionate. Buffy is microchipped, vaccinated and spayed. She is currently located in Portland, OR and can be met in Portland by appointment only. Please contact us if you are interested in adopting, or even fostering, one of our dogs. We are a federal non-profit rescue. We do require a completed application and a home visit prior to adopting. Please go to our website at www.theheartofrescue.org to complete an application or call 541-782-THOR (8467). Hanley is a happy young man. Very energetic and playful. Eager to lie on his back for a belly rub. He loves kids; however, caution should be used around small children as he may knock them over. He is good with other dogs and loves to play but can be a little dominant at times. 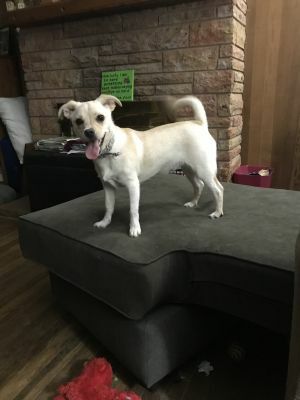 May be too active for small dogs and has not been introduced to cats. Hanley is neutered, up to date on his shots and microchipped. Please contact us if you are interested in adopting, or even fostering, one of our dogs. We are a federal non-profit rescue. We do require a completed application and a home visit prior to adopting. Please go to our website at www.theheartofrescue.org to complete an application or call 541-782-THOR (8467). © The Heart Of Rescue - All Rights Reserved, Developed by Grade-A Computer Services.